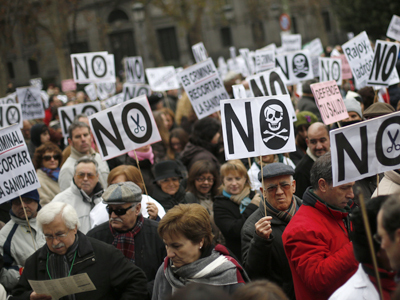 Thousands swarmed the streets of Madrid enraged at a bill to privatize public hospitals as part of sweeping cuts. The ‘white tide’ of protesters slammed the measure as ‘politically motivated’ and putting the Spanish health system in jeopardy. They called on politicians to reverse the controversial bill that will sell off 10 public hospitals and 10 per cent of health centers to private enterprise to deal with Spain’s crippling deficit. “The quality will worsen, you cannot manipulate public health to your advantage, the desire to make profit should not being governing the health system,” said Spanish nurse María José del Pozo to Reuters. “If the public health service in Madrid collapses, the public health service will collapse all over Spain,” Gomez told Europa Press Television, adding that Madrid needed to put a stop to this attempt to barter with health of its citizens. 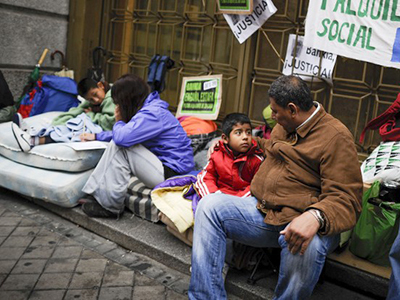 The Spanish government maintains that the cuts are necessary to combat Spain’s rising national deficit. 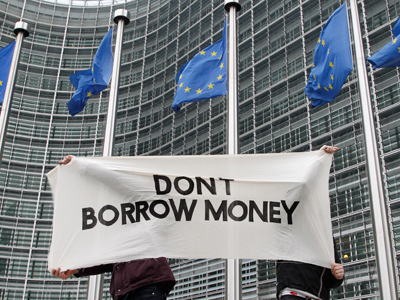 The conservative People’s Party who took power in last year’s elections intends to cut 2.7 billion euro from the 2013 budget to reduce public debt to 0.7 per cent of GDP from 1.5 per cent last year. Of the proposed cuts, the executive plans to make around 553 million euro to the health sector. Spain’s medical association has taken issue with the government’s numbers and states that the cost of running public hospitals is not greater than the running-costs of private institutions. Additionally, they have argued that private hospitals concentrate more on short-term, less serious illnesses, which allows them to get better results with fewer resources. 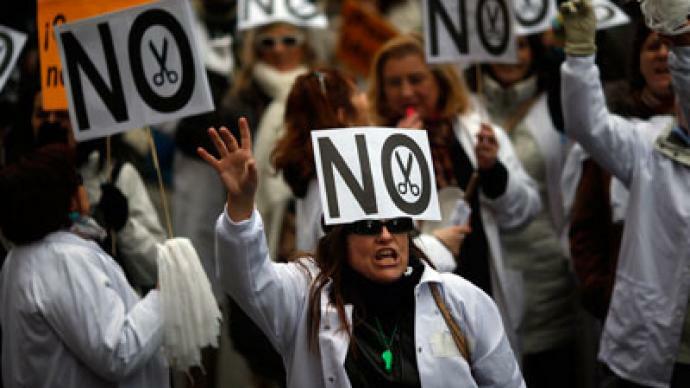 More than a hundred members of the management body of Madrid’s health centers have handed in their resignations after the bill was passed and there have been various calls for medical staff to go on strike from Monday 14. “These are disputes between medical syndicates for their own interests and at the price of the medical aid for the people of Madrid,” said Fernandez Lasquetty. 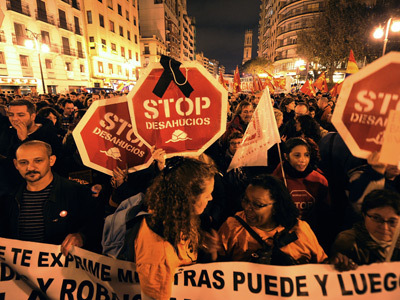 The Spanish government’s desperate measures to cut back on spending in an attempt to reduce public deficit amid a double-dip recession have been met with increasing public ire. Last year saw a record 36,000 public protests according to figures gathered by Prime Minister Mariano Rajoy’s People’s Party, almost double the amount of previous years.